Pottery and china have always been a favour and a must in people's life. 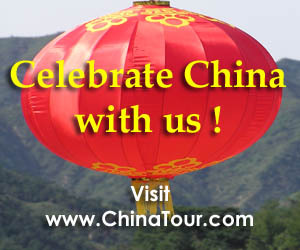 China is a country that boasts a long history of Pottery and China-making, and that is how it derives the name. Although it is no longer a technique reserved for China, most of the places claiming the best pottery and china still lie on this land. Apart from the Jingdezhen, the famous "City of Porcelain", there are a lot more places worth going on a china tour in China. Below are the choice where porcelain lovers are sure to acquire profound knowledge and enjoyment. The Jun Porcelain, one of the five famous pieces of porcelain of Song Dynasty (960-1279), was born in Yuzhou, Henan Province. As the forefather' comment goes, the Jun Porcelain is known for its bright color, splendid look, exquisite shape and clear sound when being tapped. Emperors of different feudal dynasties took it as a rare treasure and ordered utensils made of Jun Porcelain for exclusive royal use. Thus, very few pieces of Jun Porcelain circulated among the common people, and their price soared as time went by. The key to the Jun Porcelain rarity lies in one porcelain in porcelain-making, which is called "change in the kiln". Inside the original frit for the porcelain, the craftsman has already added the correct amount of copper. When the pieces are places into the kiln, the inside temperature then is carefully varied in the process, which results in the different patterns and shapes of colors on the porcelain surface. As the "change in the kiln" is not solely determined by human will, the creation of a rare Jun Porcelain is a gift by luck. The wonderful patterns and colors of the porcelain are born natural, beyond the control of the craftsman, however skilful he is. The Ru Porcelain is also among the list of the five famous types of porcelain from the Song Dynasty. Its birthplace is Ruzhou, a city near Yuzhou. The Ru Porcelain appears smooth and glistening as if it has just been taken out of water. Three main features of the Ru Porcelain are the "pear peel", referring to the tiny spots scattered under glaze, the "crab paw", meaning the web-like texture on the glaze, and the "sesame flower", the shape of the cracks in the glaze. Color of the Ru Porcelain include pinkish green, greyish blue and tawny, and their under glaze patterns and birds. Both pseudo classic ones and modern necessities can be found among today's Ru Porcelain. Tangshan Porcelain of Hebei Province is a new porcelain-producing city. The Tangshan Porcelain includes porcelain for daily use, industrial porcelain, artistic porcelain and large-scale porcelain engraving. The most precious among the porcelain for civil use are the cinder porcelain, the white-jade porcelain and the magnolia porcelain. The white-jade porcelain is hard porcelain baked under high temperature. The main material for the cinder porcelain is the cinder of animals and that for the magnolia porcelain is talcum. The latter two tapes of porcelain, smooth, fine grained and semi-transparent, are famous throughout the world. The best representative of the artistic porcelain is the oxide-red, gold-ring crystallized glaze ware. Such porcelain is able to change color in accordance with different light and angle. As its creation process is extremely complicated, such porcelain has a high artistic value. Yixing in Jiangsu Province can produce various kinds of porcelain, including vintage pottery. The vintage pottery, known as the buckaroo, has won gold medals at international exhibitions in Paris, Panama and Chicago. featured with a great variety and an elegant shape. There are pseudo classic teapots in the shape of pumpkins, lotus-leafs and lotus-roots. The buccaro wares can preserve the original flavor of the tea and prevent its deterioration. The longer they are used, the better. The celadon produced in Longquan, Zhejiang Province, is the first colourful porcelain of China. The kilns in Longquan started in the 10th century and came into prominence in the Southern Song Dynasty (1127-1279). Longquan celadon looks plain and brawny, and its glaze bears a bright and simple color. In the porcelain of Linglong (Delicate) Celadon, various techniques, such as relief and hollowing-out are combined to achieve transparent, semi-transparent, and opaque effects. Longquan celadon can be classified as celadon for daily using celadon, pseudo classic celadon and artistic celadon. 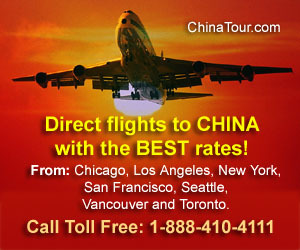 It is usually listed at high price, due to its small production and complicated process. Both the white porcelain of Dehua and the black porcelain of Jianyang are famous porcelain produced in Fujian Province. The town of Dehua in south Fujian started making semi-porcelain wares as early as the Tang Dynasty (618-907), and its porcelain products were shipped to Southeast Asian countries in the Song Dynasty via the port of Quanzhou. In the Ming Dynasty (1368-1644), the white porcelain production began. The black porcelain produced in Jianyang, north Fujian, won favour with the emperors from The Song Dynasty. The white porcelain can be divided into ivory white and snow white. The white porcelain figure of Goddess of Mercy best illustrates its value. Other products like tea and kitchen wares also deserve a place in a well-furnished house. The smooth surface of the black porcelain can provide mirror images. Rabbit hair-like lines can clearly see under the glaze. The main products are Rabbit Hair Cups, vases, stationery, tea set and animal figures. The artistic porcelain produced in Zibo enjoys high fame in north China. They come in a great variety, including vivid figure porcelain, eye-catching colourful pottery, and pseudo classical porcelain. They are unique in the color of the glaze. The "eyes of heaven" is a kind of glaze in a black background strewn with silver dots. Wares of such glaze are very precious, known as the top tea wares in Japan. The "Tea Litter Glaze" is yellow and green-mottled. It is usually used in stationery, jugs and jar-making. Such wares have a simple and ancient taste, favoured by many collectors. Tongchuan, Shaanxi Province, was once the dependency of Yaozhou years ago. Ancient kiln ruins can still be found lying in its suburbs. In the Song Dynasty, the Yaozhou celadon was very popular. Unfortunately, its techniques failed to be handed down through the generations. However, about two decades ago, the local porcelain factory succeeded in reviving the old techniques. The glaze of Yaozhou Celadon is oval, with ice-like texture. The products include incense burners, table wares, tea sets, wine vessels and stationery. Shiwan Porcelain of Foshan, Guangdong Province, is no stranger to tourists from Hong Kong, Macao and Southeast Asian countries The pottery became famous in Qing Dynasty (1644-1911). Most Shiwan Porcelain products are human figures. A visit to the Foshan Ancestral Temple will leave you a deep impression of the porcelain figures on eaves, roofs, and walls. Shiwan Porcelain falls into four categories: The little pottery figures, animals, and pavilions in a bonsai may be as small as a pea or a grain of rice. Fengxi Town of Chaozhou is the main porcelain-producing area in Guangdong Province. 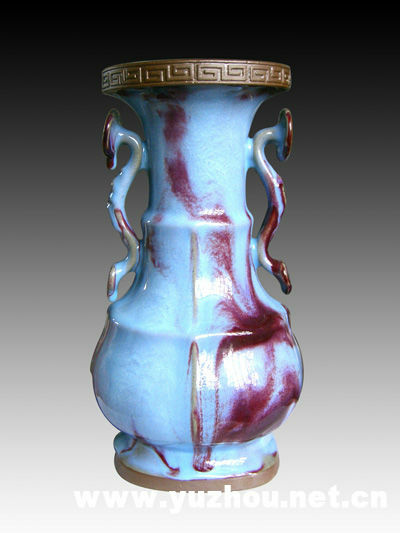 Although it bears a modern and foreign aura, Fengxi started celadon productions as early as the Tang Dynasty. In the Song Dynasty, it was able to make all-engraved porcelain. The Fengxi Porcelain products mainly feature figures, flowers and hollowed-out wares, serving both aesthetic and function porposes. Fengxi also produces tea sets used for Chaozhou Kongku Tea.